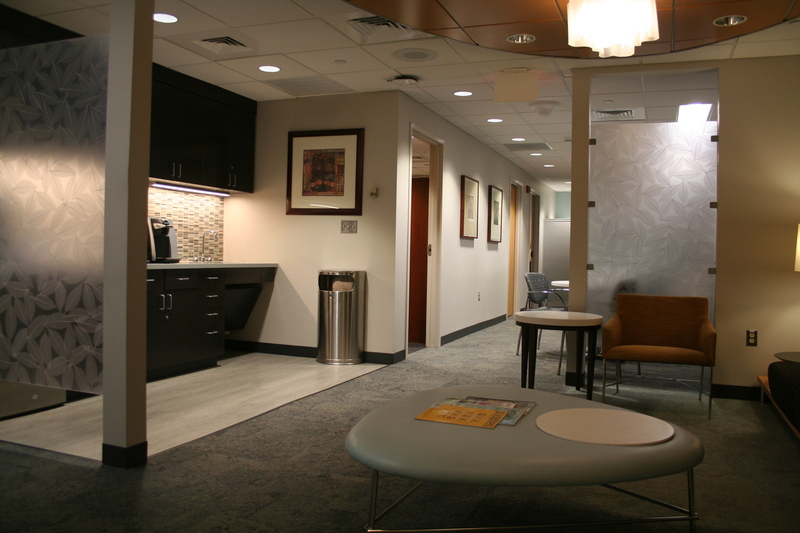 The Family Caregiver Center at the Hospital of the University of Pennsylvania (HUP) was created as a place where caregivers and family members can get away for a time from the stresses of dealing with a family member in the hospital. 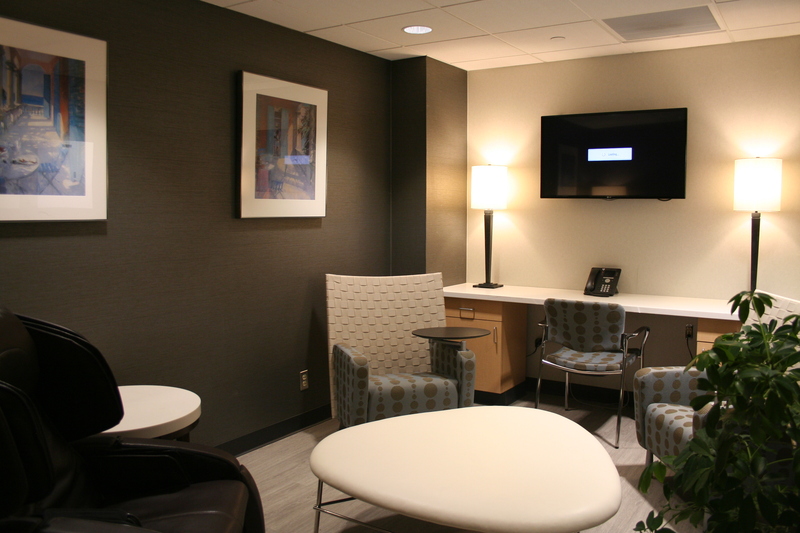 Renovated in 2014, the Family Caregiver Center was created to meet caregiver’s needs and provide resources. Having a loved one in the hospital can be very stressful, and the Center helps combat the emotional and physical stress that comes with balancing a caregiver’s everyday life and work with caring for someone who is hospitalized. HUP wanted to design a space that focused on the family caregiver, offering a healing environment with a library of resources and trained volunteers that are familiar with the trials and tribulations of caring for a hospitalized loved one. 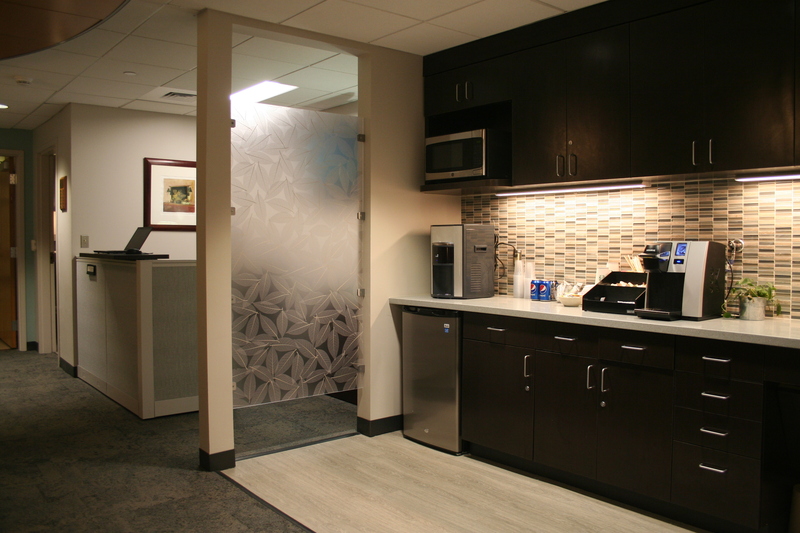 The Center was made to be a place of respite and relaxation, with massage chairs, soothing music, aromatherapy and privacy. 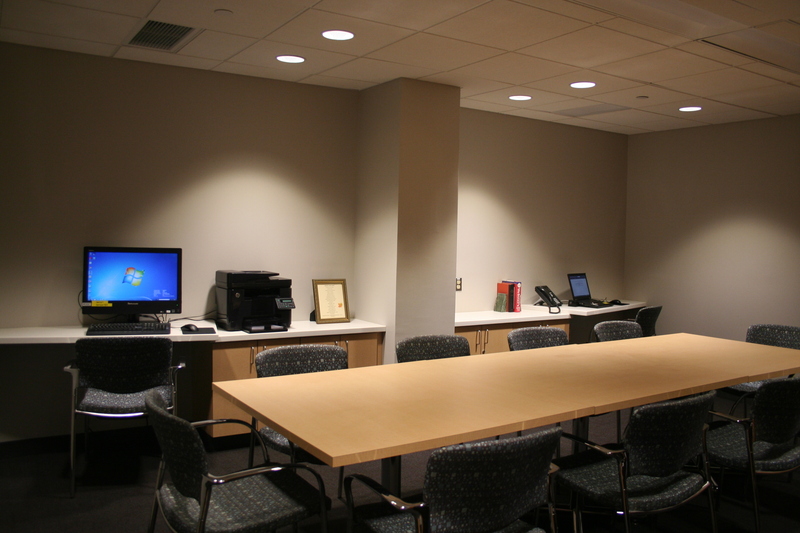 Most importantly, HUP wanted to provide these unpaid caregivers with a supportive and quiet environment, complete with refreshments, phones, computers and chargers all free of charge. 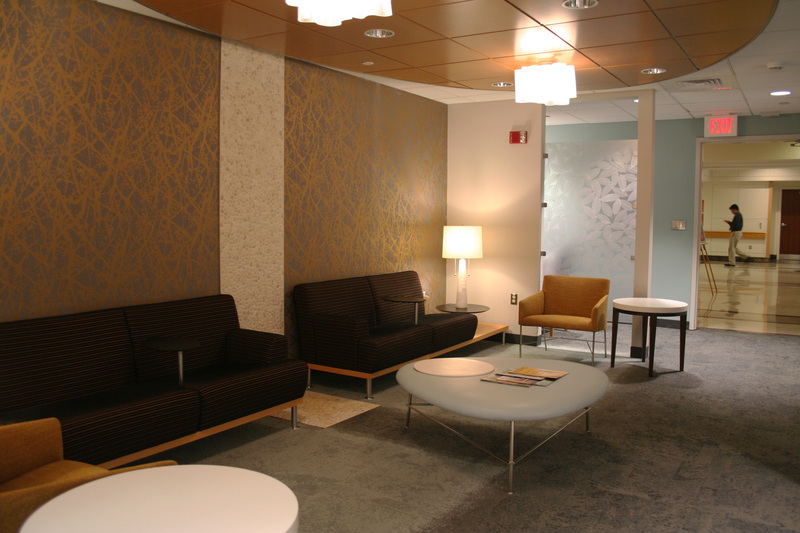 In order to fulfill HUP’s desired design, Charles Matsinger Associates relied on nature-themed elements in the space to give it a warm, earthy feel. A subdued color scheme adds to the sense of quietness in the space. Dimmers allow light levels to be reduced and the wooden ceiling in the main space adds a feeling of warmth and nature to the suite. For more information, please visit the Penn Medicine / Hospital of University of Pennsylvania website’s page on the Family Caregiver Center here.